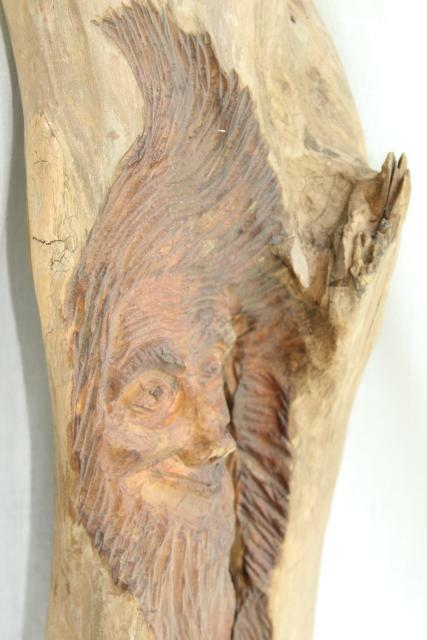 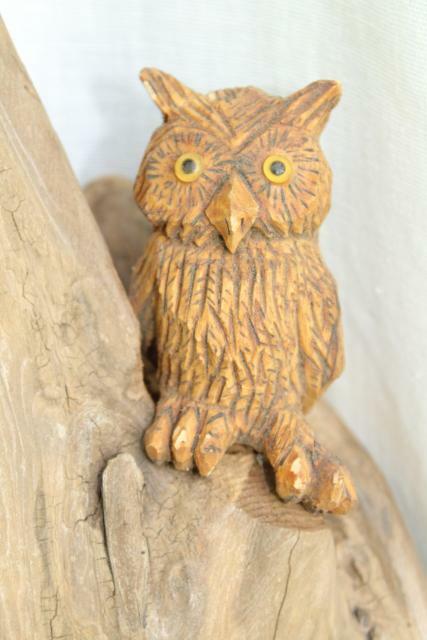 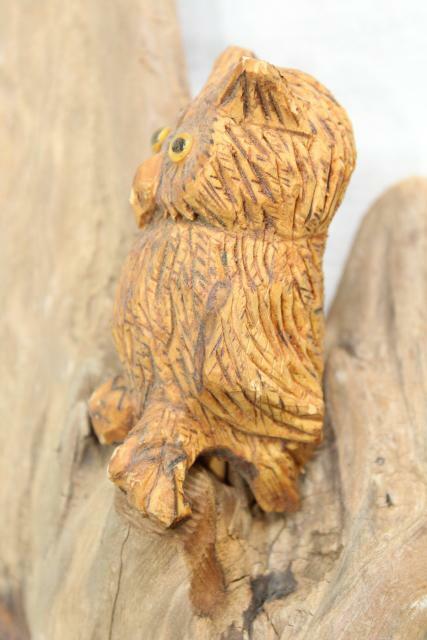 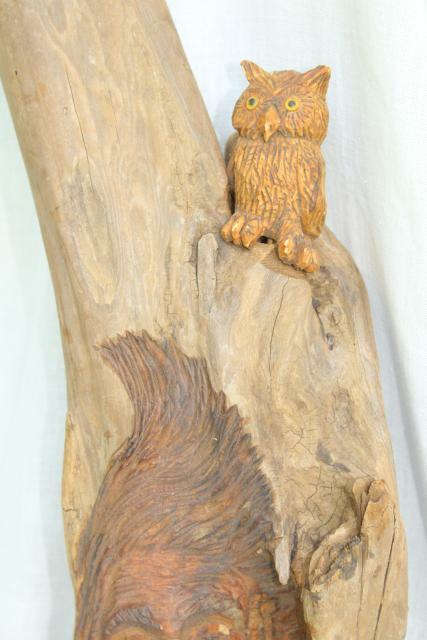 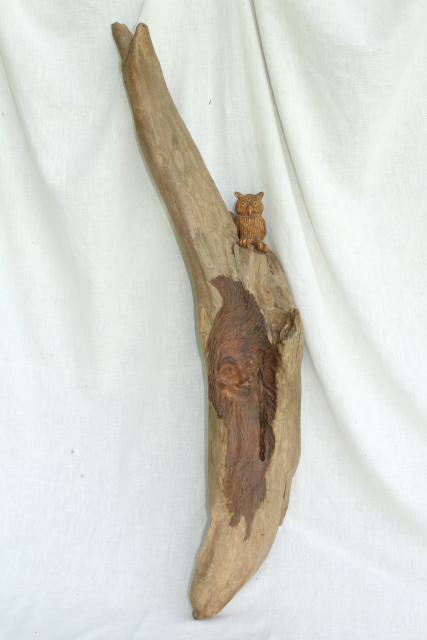 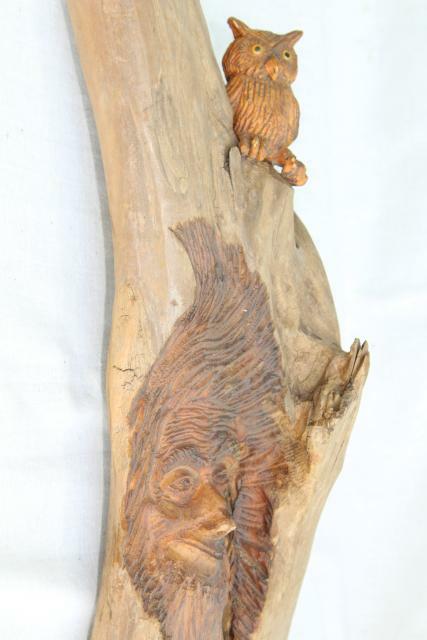 80s vintage hand carved driftwood green man and his small owl companion, retro hippie wall art, signed on the back by the artist. 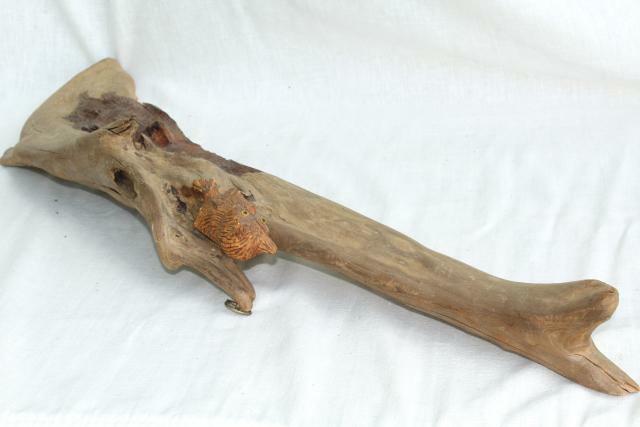 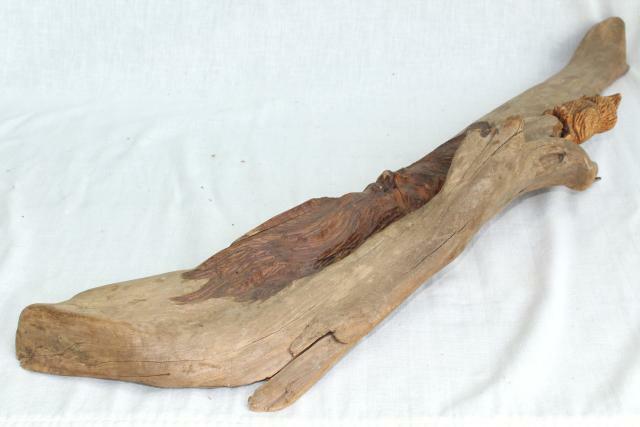 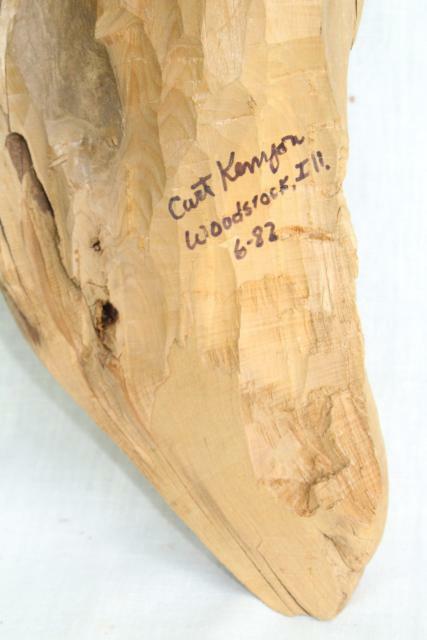 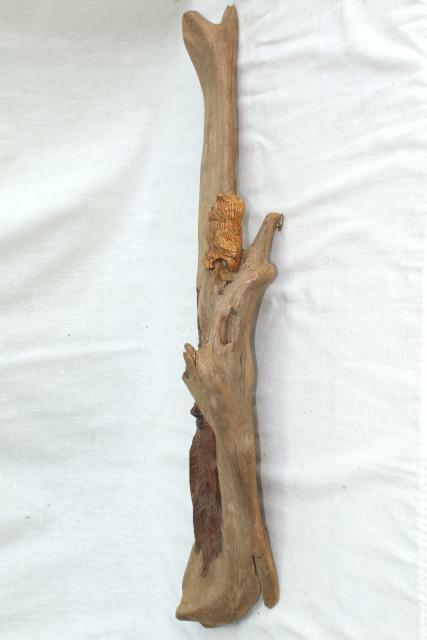 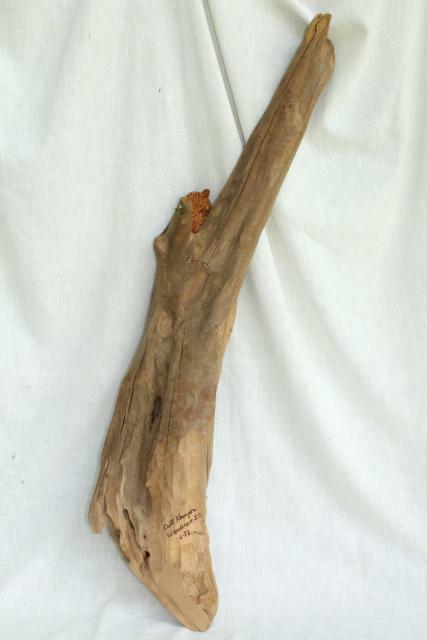 The driftwood measures about 34" long end to end. 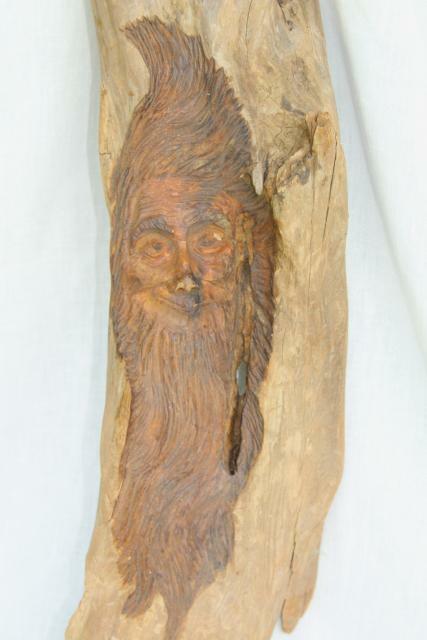 This is really well done... the face in the wood is so realistic you almost expect to hear him talk. 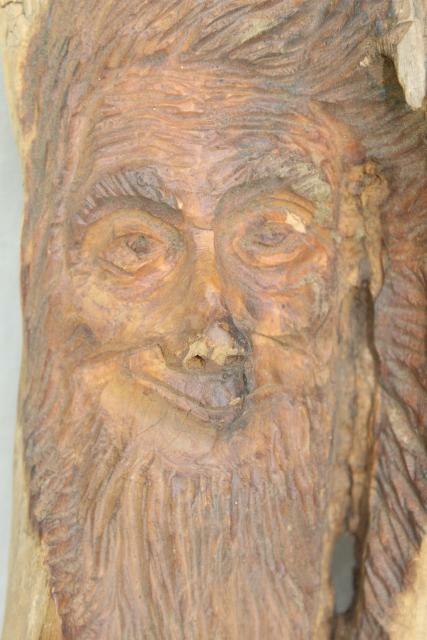 The chips and weathering just add character and a look of age and wisdom to the green man's face.